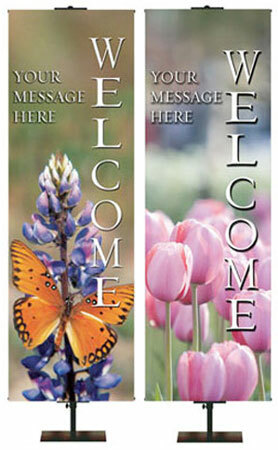 Make your church or worship space say Welcome all with our banners! 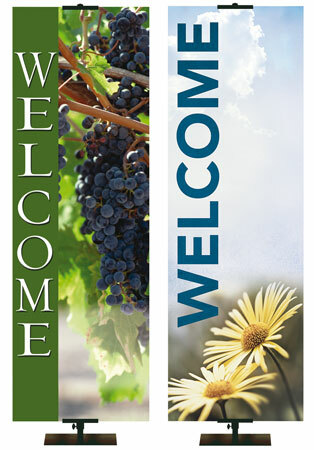 We have Stock and Custom Welcome Banners to fit all of your needs. Our banners are made of the best materials and methods: High resolution printing for color and vibrancy and quality fabric of your choice!